How to build a cabin bed | DIY projects for everyone! Want to give your little kids a unique bed? Here’s a DIY project you can do that they might just like! Build your kids a cute little cabin bed! This DIY bed, though requiring a number of woodworking tools, is a simple structure anyone can definitely create. It is installed using metal threaded inserts for easy dis-assembly in the future. What about changing the sheets on this bed, you say? The nice thing about this design is that its three sides are open. This makes it possible for parents to fix the bed sheet from the outside. But if you want to make it even easier, you can adjust the dimensions of the bed so that it is just slightly bigger than your mattress. This should give you some space for putting clean sheets! 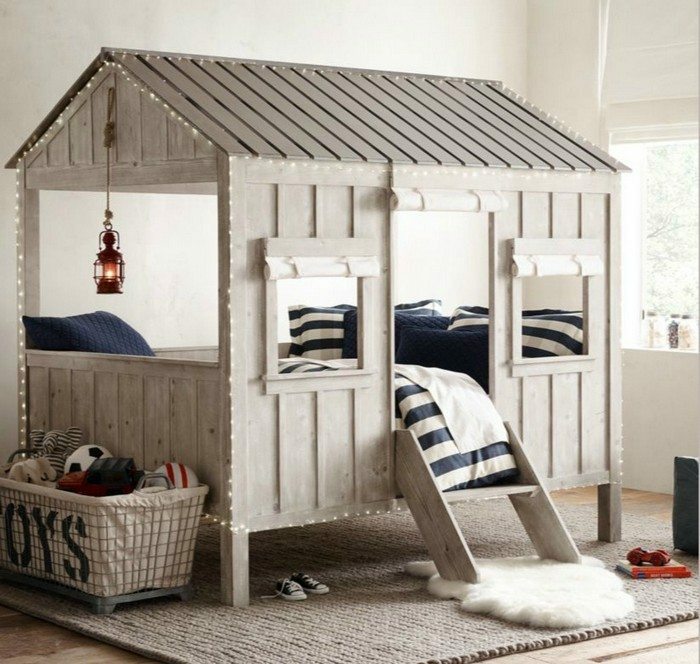 Think the kids would love to have a cabin bed? Get your inspiration from our album of DIY cabin beds below and head over to the step-by-step tutorial to build one!